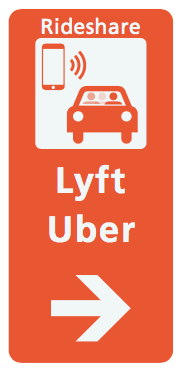 Rideshare passengers walking to their Lyft or Uber Terminal North pickup locations will have their trek reduced beginning Sunday, Dec. 23. To make way for upcoming construction, the North Rideshare pickup area will be relocated to a spot under the MARTA tracks, adjacent to the North Parking lot. Passengers will access the new area by walking from the Lower North exit doors LN1 along a well-marked path to the new structure. The new location is approximately 750 feet closer to the Terminal than the former pickup area. The South Rideshare and International Terminal pickup areas will remain unchanged.